Did you know there are 4 kinds of structure in writing? The story is focused on a world different from the character’s normal world. The reader sees it through the character’s eyes. It begins when the character arrives in the world and ends when the character leaves it, the other world continues, but the reader won’t know anything about it unless there is a sequel or series. Examples of this story structure can be found In The Wizard of Oz, The Hobbit, Star Wars. This type of story structure begins with a question and ends when the answer is found. Many wrong turns and twists occur in the story before the answer is discovered. Mysteries and detective books/movies are idea stories. Sherlock Holmes, Nancy Drew, and our own Pencildancer, Jennifer Vander Klipp’s book Protective Custody are idea stories. Ah, I love these and write them. In this structure, the main character has a problem that has to be solved or something bad will happen. Often the character doesn’t feel equipped to take on this problem but must. By the end of a story, the character will change their belief. YA (young adult) books are often character stories as they are coming of age books. In my book, The Honey Bride, my character, Katie Tucker is painfully shy, and she is terrified of bees. Both things become critical for her to overcome if she’s to save her family farm. These stories center around an event like a world war, the city is in danger, there is an earthquake, aliens invade the planet to get the water. Lord of the Rings and Hunger Games fit here. All fiction stories no matter if they are romance or fantasy, mystery or RPG will borrow from each type of structure, but one will be stronger than the rest. 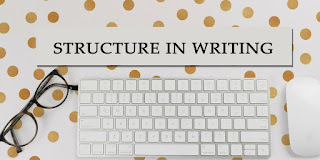 When you look at your writing where does it fall in these four areas? Are you a blow it up and see where the buildings fall? Maybe you love dialogue and people? Are you busy creating other worlds? Or do you have burning questions that must be answered? Why do you need to know this? That's a question I asked in every math class, still waiting on that answer. However, You need to know the answer to this question. Knowing it will help you write that market copy, back cover copy, and pitch your book to an editor or agent.